Rare bass drums set made from dark hard Haré wood. 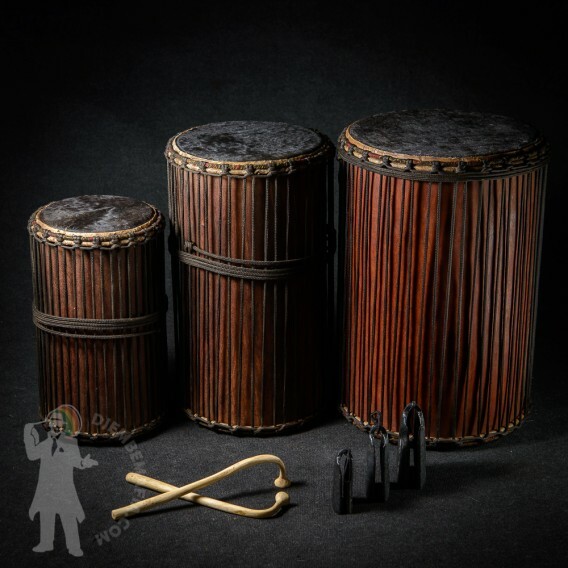 Hard wood, along with perfect black malian cow skin, provides this professional doundoun set with exceptional sound quality. 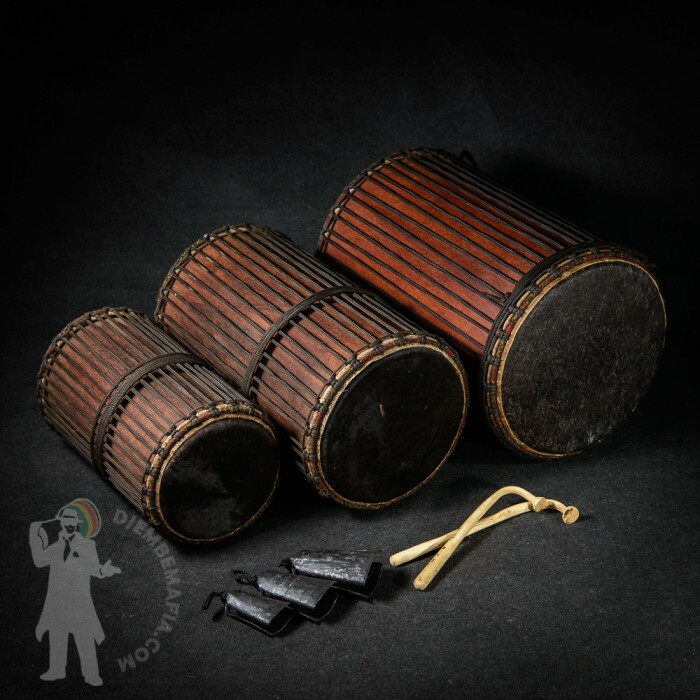 Thes bass drums set goes with set of bells and pair of malian doundoun sticks. Doundouns are traditionally made from lighter melina wood. So don´t miss that chance to get yourself Haré doundoun set!